For those of you who don’t know him, let me introduce you to Crippled Wolf. 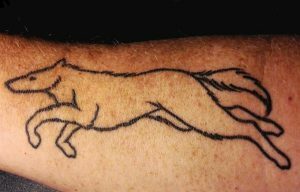 Crippled Wolf first came to me in a dream on Friday, October 29, 2004, one morning after a total lunar eclipse. I first shared his story on Walhydra’s Porch four years later.